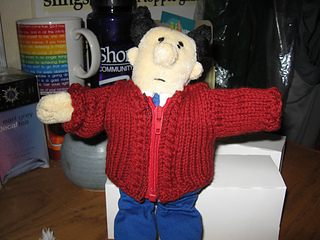 This is a “miniature” sweater designed in honor of Mr. Rogers Sweater Day, March 20. It is designed to match the one in the Smithsonian. It’s my first written down and shared pattern, so please let me know if you have helpful comments! 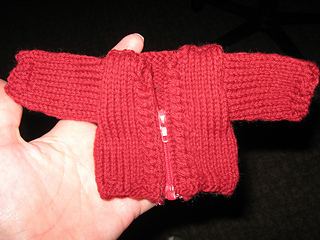 It’s designed to share what I am learning about steeking.